There are many benefits to buying investment property in Florida, including steady population growth and an excellent statewide economy. Jacksonville, Florida, and many other great cities along and near the Gulf and Atlantic coasts, and inland communities, like Orlando and others, offer great local economies, have high occupancy rates for rental properties, and have many potentially profitable rental properties in which you can invest your money. 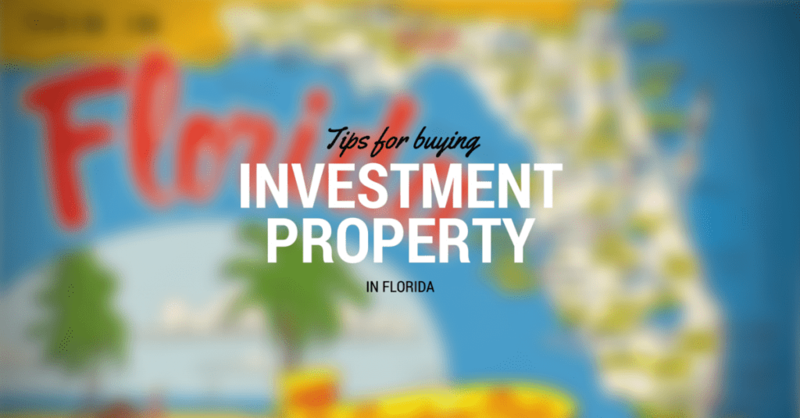 The following are some of the many benefits and caveats for you to consider when considering whether or not to buy investment property in Florida. One of the greatest benefits of investing in Florida is its investor-friendly tax base. There is no state income tax, and its tourist-based economy means local and state taxes are relatively low when compared to tax rates in similar communities and states across the nation. Most properties in which you likely are to buy in communities like Jacksonville, Florida, and elsewhere generally are going to be of recent build and are connected to local services, like sewage, water, and natural gas. This can make it much easier for you to anticipate utility and maintenance costs, while also ensuring your property has reliable services. It’s no secret that Florida is a preferred destination for many of the nation’s retirees, particularly those who made a living in wintery northern states. That means Florida enjoys a much more stable rental base than other states, due to its relatively high percentage of retirement-age renters, who have steady incomes, generally treat rental properties better, don’t commit violent crimes, and often stay longer than younger, more mobile renters. About 18 percent of Florida residents are at or above retirement age, and that means lots of great tenants are available. There are also many Fortune 500 companies in Florida as well. Florida not only has one of the most stable rental markets in the country, but it also has one of the most stable housing markets. When you invest in a good rental property in Jacksonville or other Florida communities, odds are it will appreciate in value over the course of your ownership, and that grows your equity. When you invest wisely in Florida rental properties, you not only can generate stable monthly income, you also can grow your equity and generate a significant profit when it comes time to sell your investment. When it comes to investing in profitable rental properties in Florida, you need to pay a great deal of attention to the cost of property and flood insurance. Because Florida is prone to tropical storms, hurricanes, and wind damage, it generally costs much more to insure a property in Florida than just about anywhere else in the United States. There are many investment options in Florida such as vacation rentals and timeshares, buying and managing yourself or investing in a turnkey rental property. One of the advantages of turnkey rental properties is it gives you the opportunity to leverage the expertise of a team that is located in the area you choose to invest. Turnkey providers such as JWB, provide investors with a proven model that can produce above average returns, in a truly passive way. Meaning that they manage the process, somewhat similar to using a stock broker or financial planner to manage your investments. Click here for more information on turnkey rental properties in Jacksonville, Florida.